takes you, we're here for you.  Helping you with life & money matters. Meet Bernie – after experiencing a sudden and unexpected retirement, Bernie and his wife Helen share their journey into this phase of their life and how they are enjoying their new found freedom. Meet Sue – one of our exceptional members. She shares her journey with Mater and her (long) list of plans for retirement.